Smart Disclosure synchronizes clinical views, so you have quick and easy access to patient event information. Regardless of how you identify an event – from an arrhythmia or an alarm – you can gather the full clinical context with a single click. Additional parameters and timeframes help you identify cause-and-effect relationships, for better and faster decisions. Integrated into the Intesys Clinical Suite (ICS) suite of products, Smart Disclosure is hosted from Clinical Access, where clinicians can view the entire patient stay from virtually any location. 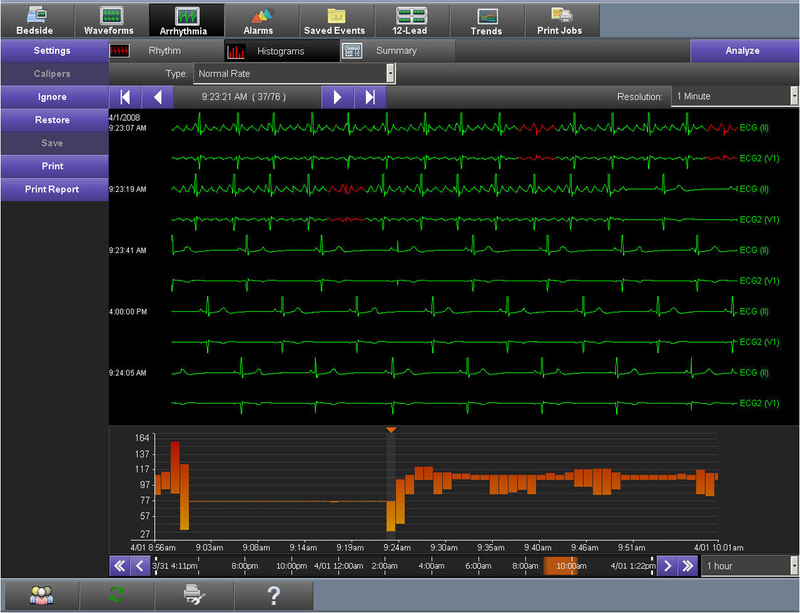 Access waveform data, alarms, vital sign trends, and 12-lead ECGs for a specific time period from any PC on the network. With a simple touch of a button, you can see alarm events and replay them on-screen. Then you can go back in time and see what preceded the alarmed event and how the patient recovered. You can produce a complete printout of strips with just a few clicks of a mouse. Identify causes of bradycardia by seeing how the changing PEEP affects your patient’s blood pressure. Trend View offers you the ultimate in customized viewing. Data is sorted, grouped, and prioritized the way you like, working the way you work. Supplemental data gives you a more comprehensive view.